One of the great things about the internet is that it has given a platform for women to share their journey through Postpartum Depression and Anxiety. However, with this great new resource comes a lot of misinformation. What exactly are the symptoms of and at what point is it necessary to seek help? Did you know that postpartum mental health disorders are the most common complication of pregnancy and childbirth – more common than preterm labor, low birth weight, preeclampsia, high blood pressure, or gestational diabetes? 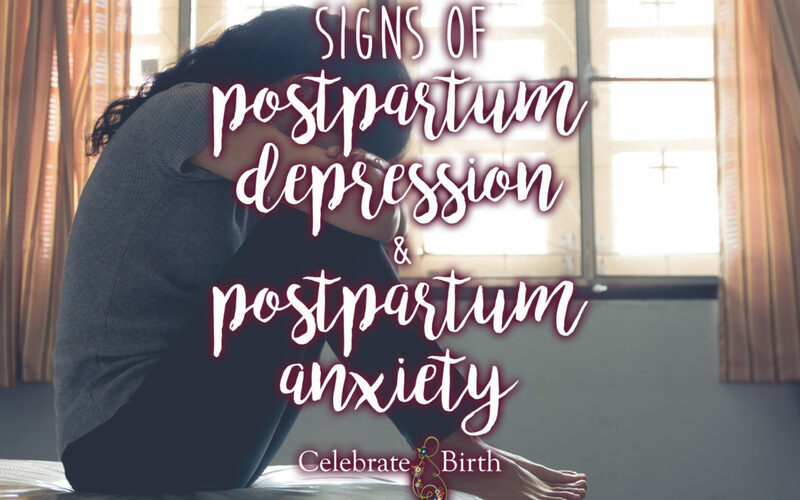 Anyone can develop Postpartum Depression or Anxiety, though women are more likely to develop these conditions if they have a personal or family history of similar mental health disorders. Postpartum Depression and Anxiety go beyond the normal emotional challenges that most new moms experience due to the fluctuation of hormones following childbirth. These conditions make it difficult for the mother to function emotionally and physically and can ultimately become debilitating, making them unable to take care of themselves or their child. Screening tools for these disorders can be found online, but it is best for them to be reviewed in the presence of a trusted care provider. A diagnosis is usually made if a woman has been experiencing some of the symptoms below for two weeks or more. Gone is the stigma that used to come with a diagnosis of Postpartum Depression or Anxiety. More and more mothers are coming forward to talk about their struggles with these symptoms, not only to normalize the diagnosis itself but also to offer encouragement for those women who are similarly struggling. If you do find yourself experiencing one of these disorders, take heart in knowing that there exists a plethora of resources and treatments proven to help. You are not alone in this experience. There is help available. Most maternal care providers are vigilantly watchful for the onset of these symptoms in their clients and have a referral list of mental healthcare providers to send mothers to if they need assistance. For local resources in addition to what you may have received from your care provider can help – contact them directly at 863-578-8633.